It may well be that we’ve been in tasi to long but we found this pretty amusing! A walking track winds its way across a currently grassy flood plain adjacent to a lake in Narawntapu National Park. An area approximately 1 sq K with one track. A single bridge was put in place to allow walkers to traverse a low area when the plains are flooded. Enter the wombat. With a vast area to dig a burrow it chose smack bang in the middle of the track one pace of the end of the bridge! Our amusement at its position lead to extrapolation into the Parks Wombat Dilemma! Health and safety implications for walkers. If someone taking the designated path stepped of the bridge, down the hole and snapped something vital. What would the headlines scream? The witch hunt that would follow. Insurance implications given they were aware of said hole and did nothing. Make a sign. Put up warning tapes. What about the guidelines on the parks infrastructure and its impact on the wildlife. What to do? Move the wombat. Move the bridge? In the mean time the bodies pile up the entrance to wombat house. A couple of potentially – alleged perpetrators. 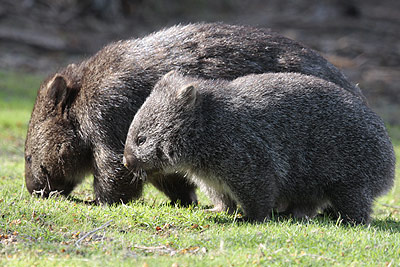 The Wombat Federation Members are lock step in opposition to any action to move their house. Steve Powell: reporting from Wombat hollow Tasmania. Medication may help if they can catch me! 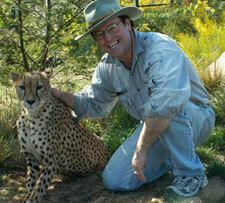 This entry was posted in A day in the life of:, Australia, Photographer, Tasmania, Wildlife, Wildlife Artist. Bookmark the permalink. 6 Responses to The Wombat dilemma!!! Trying to read your post. Your layout is not viewing properly using chrome. Not sure what the problem is. I’ve checked it out on Chrome and it looks ok. Can you give me more details of problem please. How long have you been writing for? This article was great. Don’t suppose you’d be interested in a j.o.b. doing it for someone else? The writing I mean. Thanks for your comment. I hope people are enjoying my scribbles. I do have too many things on my plate however I’m always open to offers. You may have noticed a disconnect between content and spelling and grammar principles. I tell people I spell phonetically but don’t talk ‘good’!! As for grammar as a writer I make a good painter! I prefer verbal to written story telling. Even then I tend to give people tenosynovitis of the ears. Your site is getting more visitors thanks to sites like Youtube and other social sites. Thanks again for the interesting info revisit for updates.